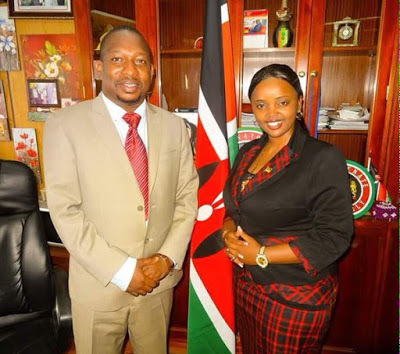 Nairobi Senator Mike sonko recently revealed that he loved the way pastor Lucy Natasha preached, but we are not really sure if he loved the preaching or the looks. The drop dead gorgeous female pastor's photos have been doing rounds on the internet recently with team Mafisi praising her great looks and some admiring the ways she teaches the gospel. Pastor Natasha recently decided to pay the senator a visit in his K.I.C.C office, probably after hearing the senator mentioning how he loved her sermons. Not clear what the two discussed but from the look of things, the pastor was extending a formal invitation to the senator to visit her church.